Foetron understands that the world is rapidly changing. Last 30 years have drastically changed the way world works. We have seen gradual changes in the form of emails, internet to rapidly changing world of smartphones, high-speed internet, ultra powerful laptops/PCs, social media and cloud. However, the other aspects of life have relatively remained static except for past 10 years. In last few years, we have seen technology deeply getting engaged with day-to-day life starting from booking movie tickets to election. Today, India is at the brink of using these digital mediums at much deeper level than ever before in its entire history. This move will surely have far-reaching impact for India’s future, but, what about the future of Indian Businesses in such Digital Times? 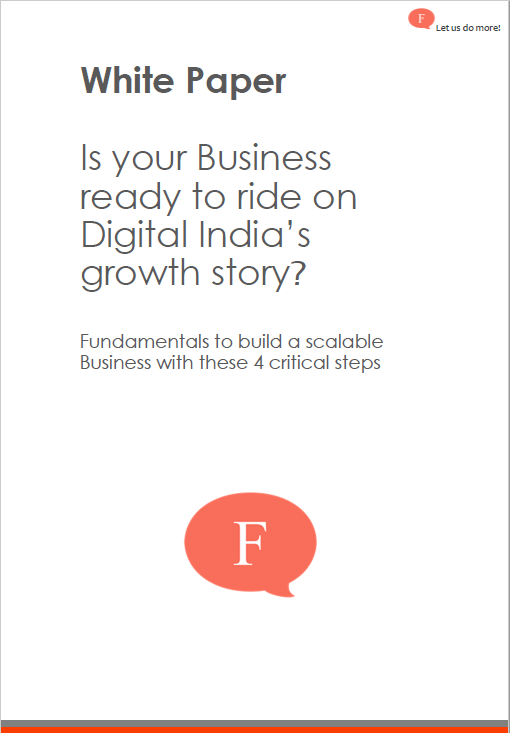 Fill in your details below to download this White Paper for evaluating if your Business is ready to tackle the challenges of India 2.0!